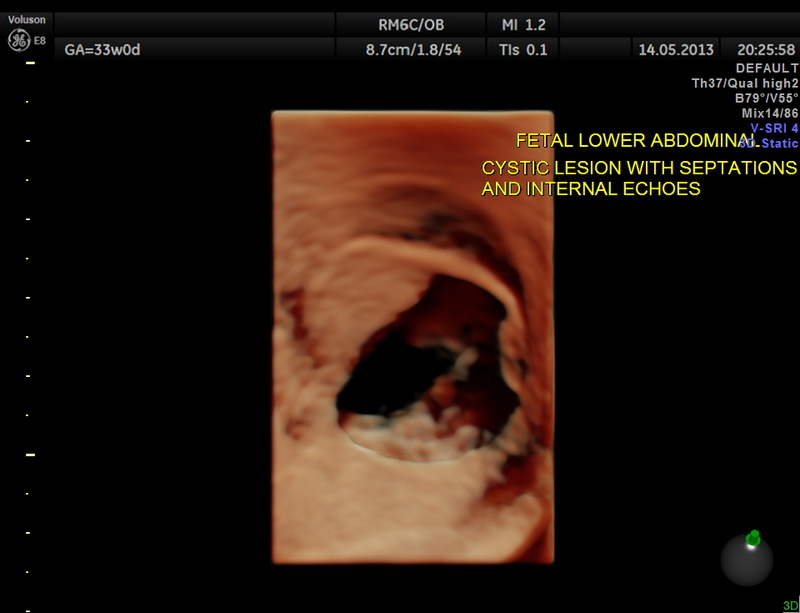 This was a 30 year old lady referred for 2nd opinion for fetal lower abdominal mass. There was no history of any consanguinity. 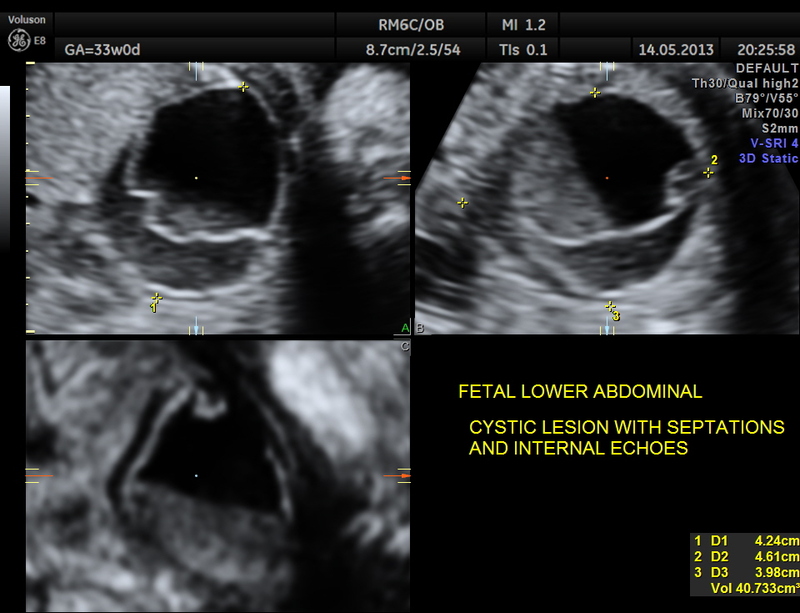 The lower abdomen showed a predominantly cystic mass with septations and internal echoes . 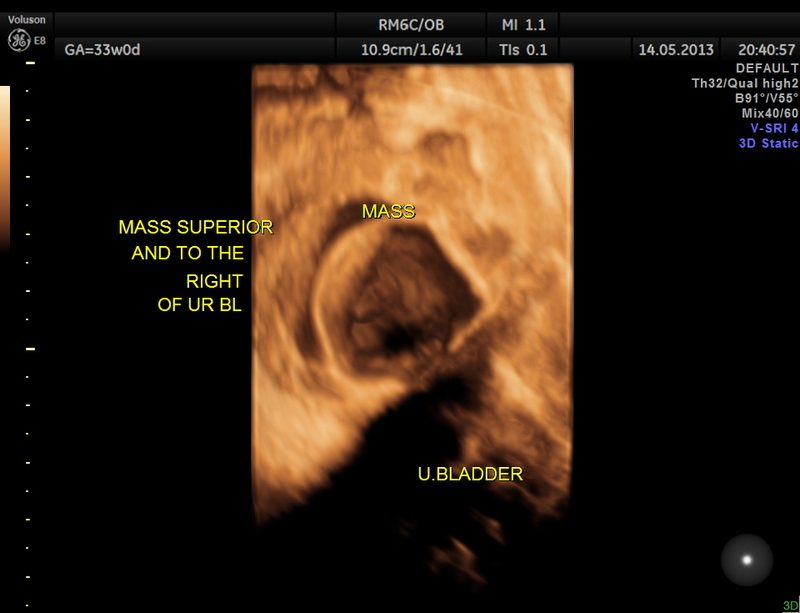 This was distinct from the urinary bladder and the kidneys. 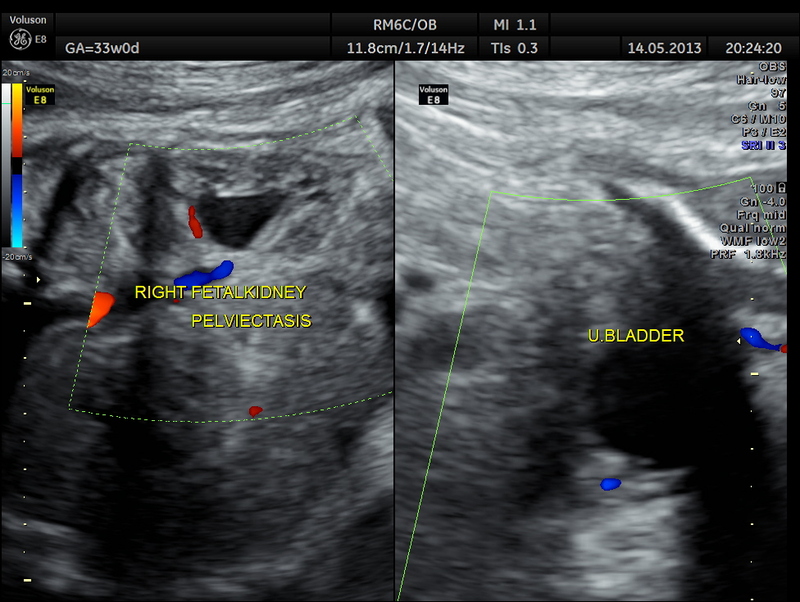 Both the kidneys showed mild pelviectasis. 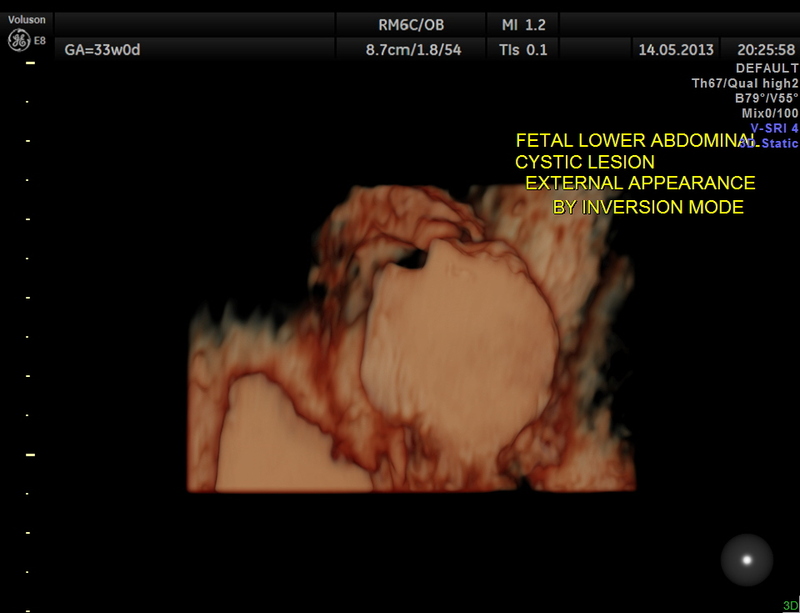 yes, hemorrhagic ovarian cyst assuming it’s a female fetus. I`m agree! 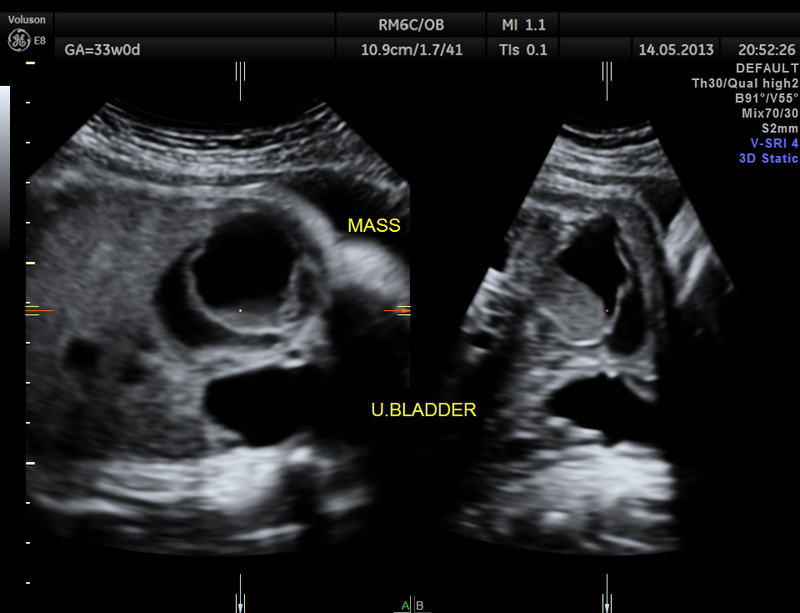 It`s an ovarian cyst. Please, send us a reply after birth to confirm! 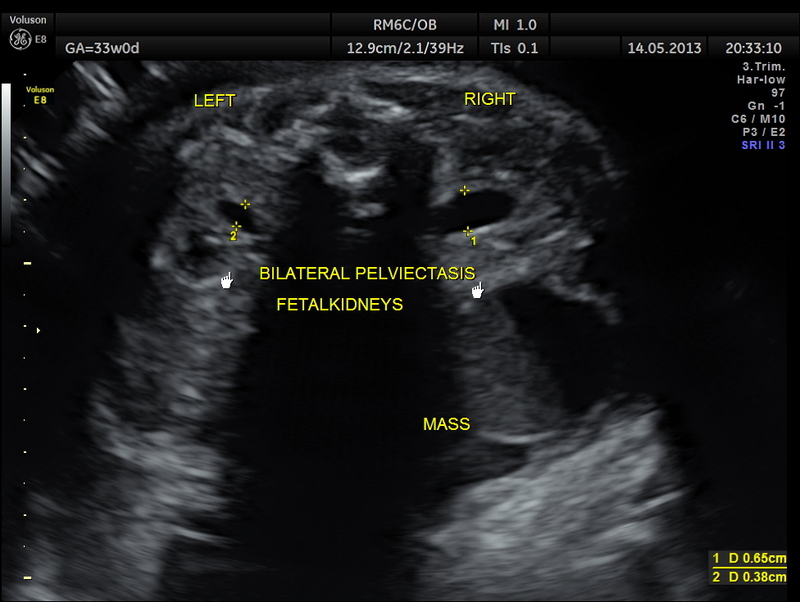 Several possibilities come to mind in the differential, the whole spectrum of what could be expected in a female fetus, including hemmorhagic cyst as mentioned, dermoid, mesenteric cyst, peritoneal cyst. Mesenteric cyst is a DD. I wouldn’t think it’s a dermoid without seeing any calcifications right away. I don’t see any pictures with color flow to show if there was flow with the septation or ? tissues. By any chance, did you optain any? 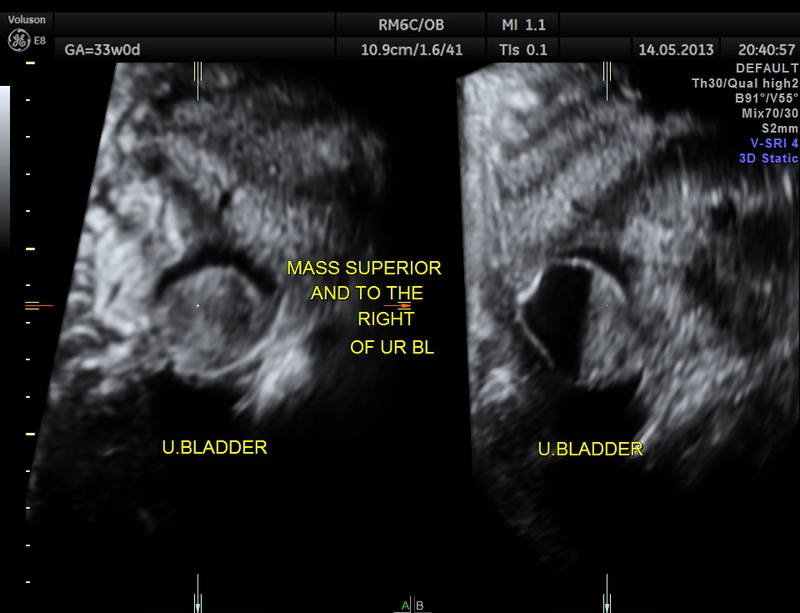 What about a cystic mass arising from bowel? ie appendix?